Margaret Ekpo International Airport offers a gateway to Calabar, the capital of Cross River State and tourism capital of Nigeria. The airport (also known as Calabar Airport) was commissioned in 1983 and named after Margaret Ekpo, a women’s rights activist who was a pioneering politician in the country’s First Republic. Margaret Ekpo International Airport (IATA code: CBQ) is a key airport for domestic arrivals and domestic departures to other cities in Nigeria. Domestic airlines that land at this airport include Arik Air and Air Peace. CBQ is approximately 10 minutes from the city centre of Calabar. Book your cheap flights to and from Margaret Ekpo International Airport online! Situated in Calabar, a port city in Southern Nigeria, Margaret Ekpo International Airport serves the Cross River State. The airport was commissioned on July 23, 1983, by Alhaji Shehu Shagari, the former president, and named after Margaret Ekpo for her service to the country and pioneering political work. The airport is home to one terminal building and one 2,450 metre runway. Margaret Ekpo International Airport is a hub airport for domestic departures to several major cities in Nigeria. Restaurants and shopping outlets at Margaret Ekpo International Airport are limited, but a number of shops and eateries can be found in the surrounding area. Margaret Ekpo International Airport offers limited facilities and services. This comfortable hotel is a 14-minute drive from Margaret Ekpo International Airport, making it ideal for short stays and business trips. Amenities include a restaurant and pool bar, swimming pool, fitness centre, breakfast, airport shuttle bus, business centre, air conditioning, daily housekeeping, garden, and 24-hour front desk. Free Wi-Fi and parking is also available. This stylish hotel 3-star is ideally situated just 11 minutes from Margaret Ekpo International Airport. Amenities include a restaurant and bar, swimming pool, childcare, fitness centre, airport shuttle bus, internet in the lobby, terrace, daily housekeeping, front desk safe, air conditioning, and 24-hour front desk. Free buffet breakfast, Wi-Fi, and parking is also available. This sophisticated lakefront hotel is a 23-minute drive from Margaret Ekpo International Airport, making it ideal for relaxing vacations and holiday retreats. Amenities include a water park, swimming pool and lazy river, restaurant and bar, shuttle bus, business centre, air conditioning, terrace, business centre, and 24-hour front desk. Breakfast, parking, and Wi-Fi is complimentary. Foreign currency can be purchased at an exchange bureau up to 60 days before departing from South Africa. Margaret Ekpo International Airport offers open air parking for short and long-term stays. Margaret Ekpo International Airport is located in Big Qua Town, approximately 3.6 km from the centre of Calabar. 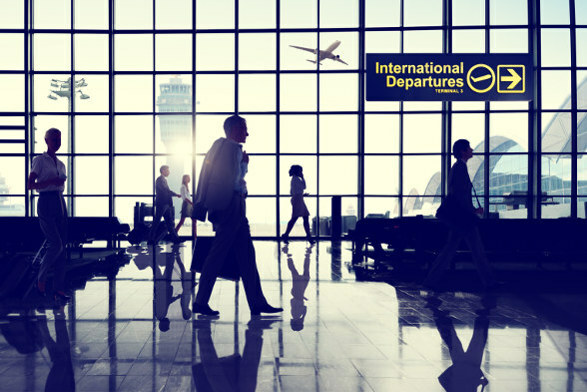 Metered taxis are available to get you from the airport to your destination. An airport shuttle is also available to get you from the terminal building to the boarding areas.